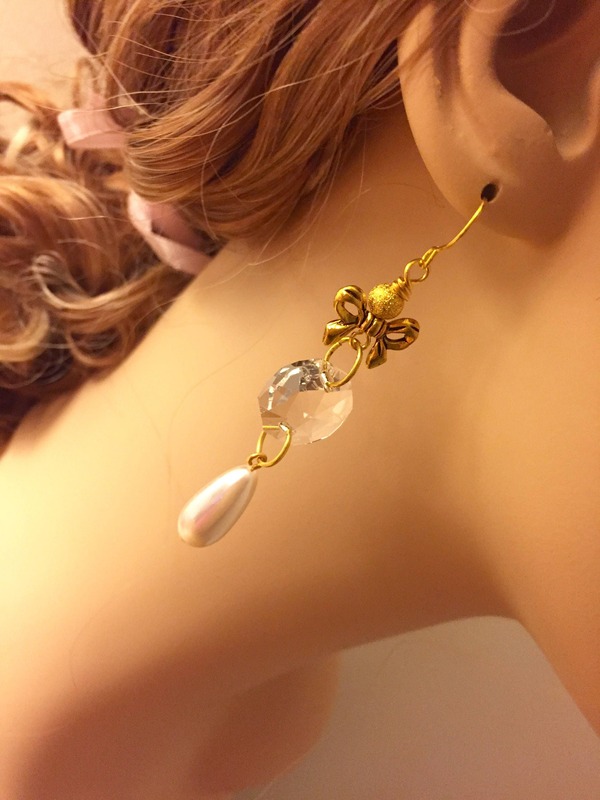 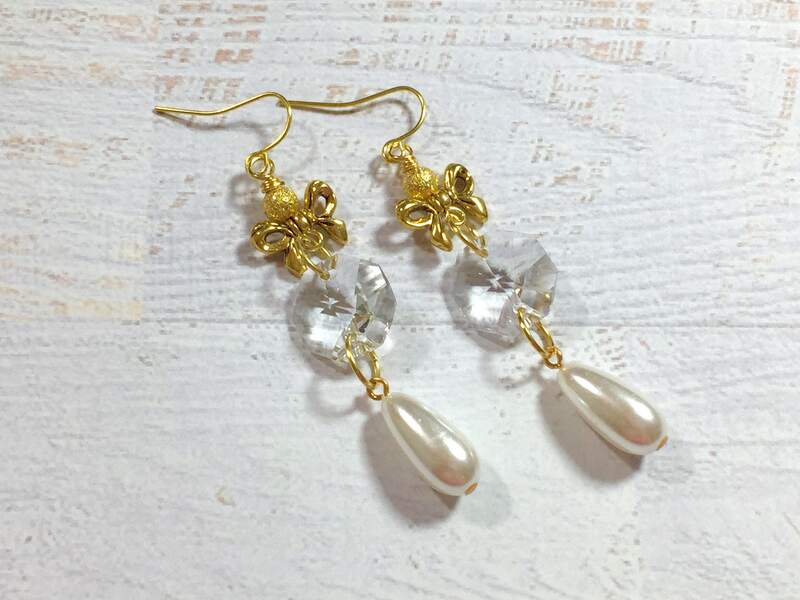 I made these long assemblage earrings with vintage crystal chandelier components, vintage acrylic pearl drops, sparkling gold metal beads, Tibetan gold bows, gold toned findings and gold toned surgical steel ear wires. 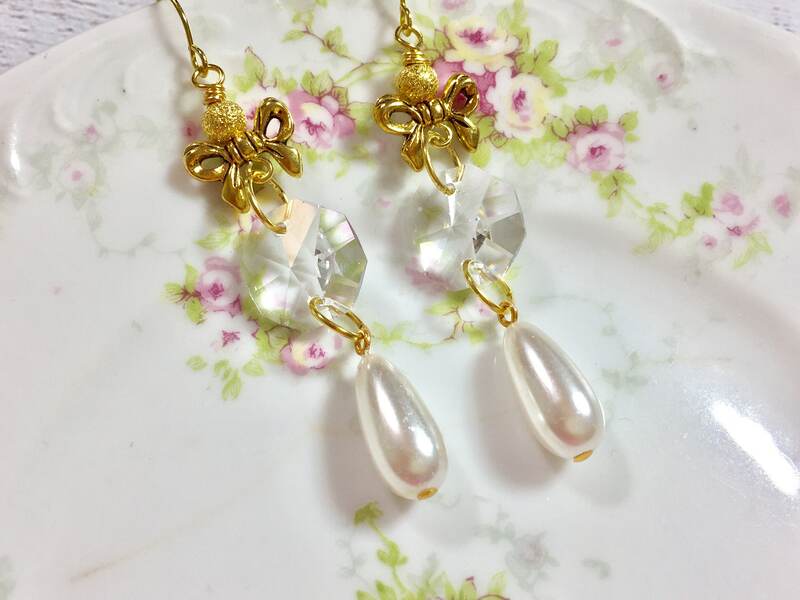 The vintage portions show pretty patina & imperfections here and there for a shabby imperfectness. 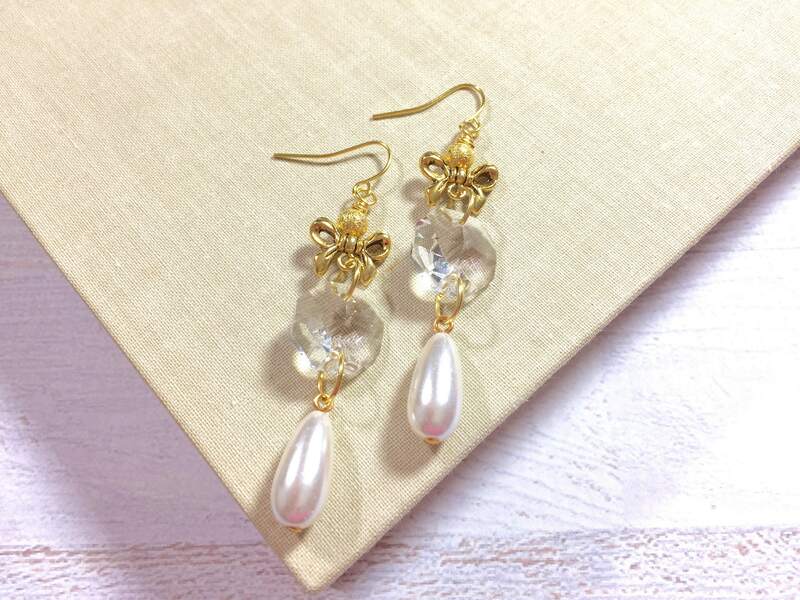 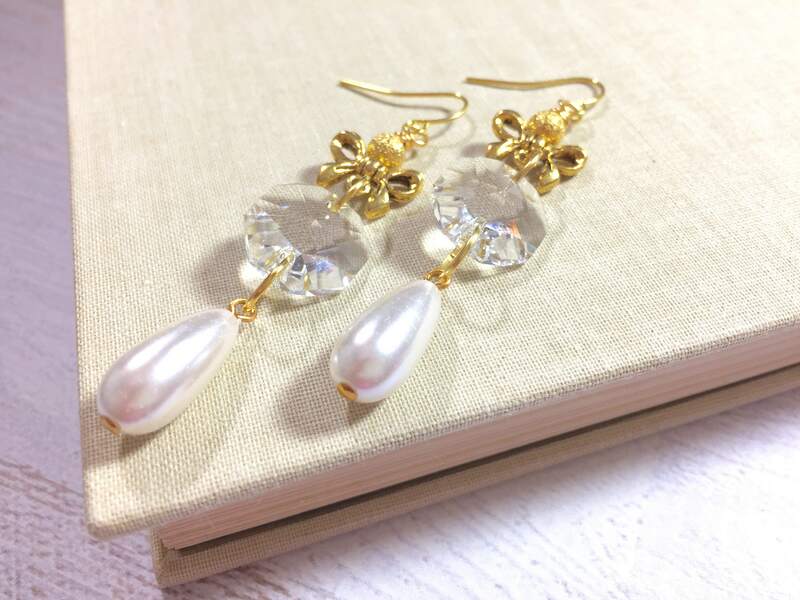 These earrings dangle just over 2 5/8 inches (2.65in, 6.7cm) from the top of the ear wire to the bottom of the vintage pearl.